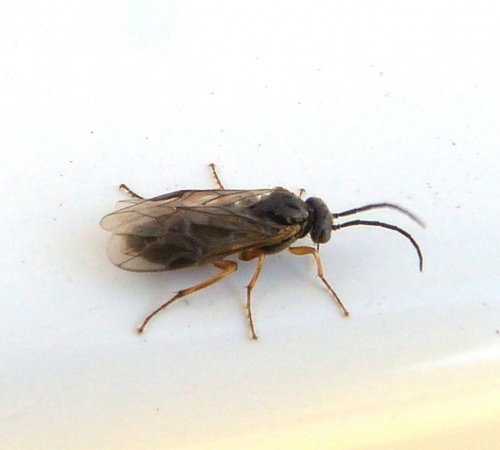 Pristiphora appendiculata has a black abdomen and pale yellow legs. There are other similar species and detailed examination is necessary. The larva gall the leaves of various Ribes species such as Red Currant or Gooseberry. Gardens and allotments where the host species such as Red Currant or Gooseberry are found.